The Tolpuddle Radical Film Festival is committed to promoting and screening radical film beyond Tolpuddle. We are founding members of the Radical Film Network and are involved in various radical film initiatives across the UK and Internationally. We also manage screenings at cost across the UK for trade union branches, colleges and Universities and political societies. Please contact us if you are interested in us organising a screening for you. 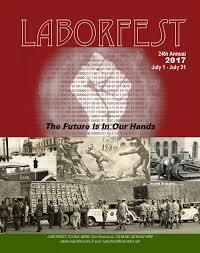 Tolpuddle Radical Film Festival Director, Chris Jury, travelled to San Francisco for the 2017 Laborfest. Chris presented a screening of Ken Loach’s, I Daniel Blake, and led a discussion afterwards about austerity, the welfare state, the NHS and the similarities and differences with the struggles of the working class in the USA. Highlights from the 2017 programme are being shown in March in Worcester by WoRFs which was originally set up for this very purpose. www.worfs.org. 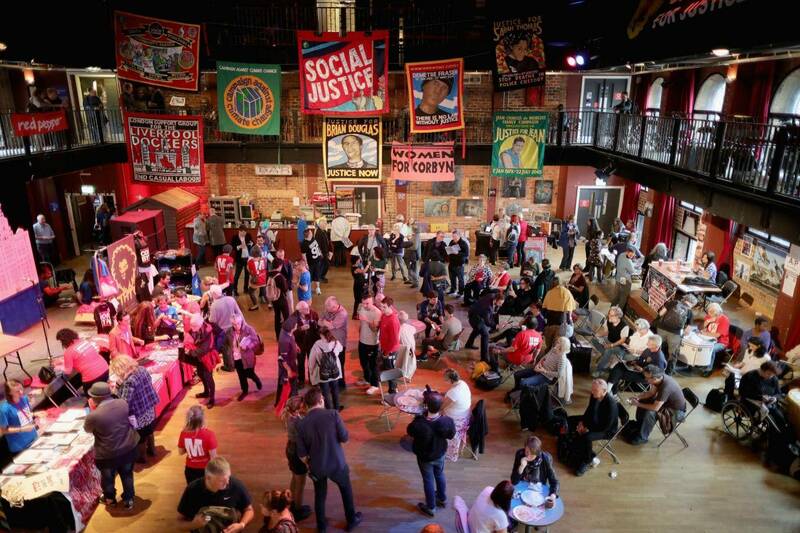 Tolpuddle Radical Film Festival took our theme of Cultures Of Resistance to the first World Transformed Festival in Liverpool in September 2016. We screened the film Cultures Od Resistance to packed houses twice a day for the three days of the festival. Each screening was followed by a discussion on the role of arts and culture in politically transforming our world. 3rd annual Global Labor Film Festival (GLFF). 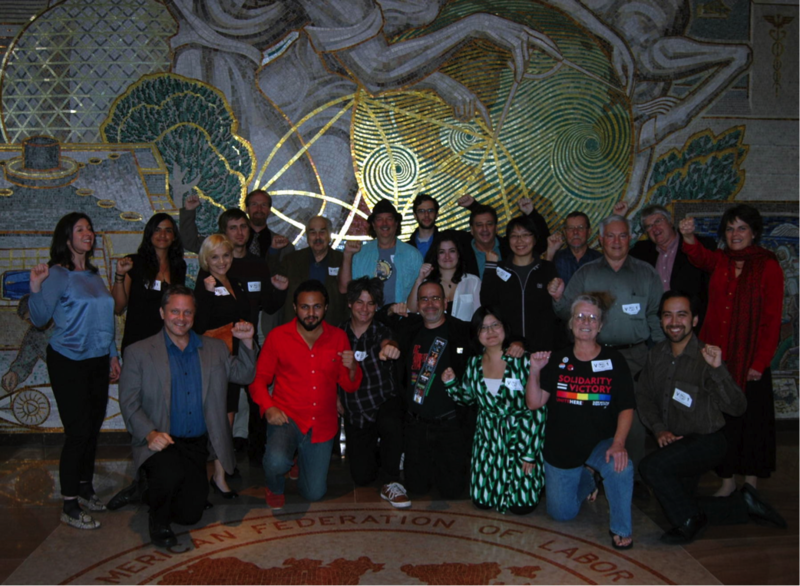 The Tolpuddle Radical Film Festival represented the UK at the 4th International Conference of Labor Film Festival Organisers hosted in Washington DC by the AFL-CIO (the US equivalent of the TUC). With festival organisers from all the USA and from the rest of the world including India, Australia and Malaysia, this was a fascinating opportunity to share best practice and celebrate the international vitality of the Labor film community.